Harry Wilson has scored yet another sensational free-kick, this time for Wales against Ireland. 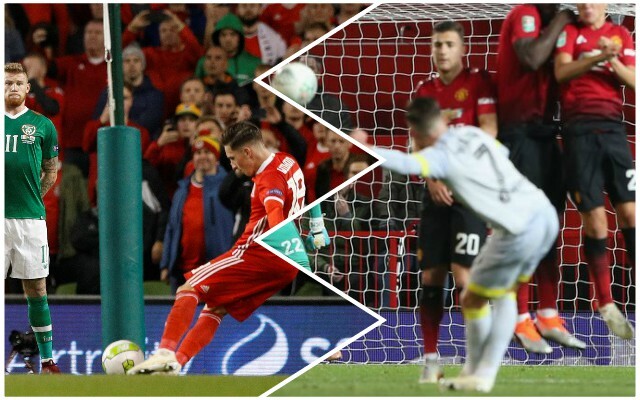 Just weeks ago, he netted from distance at Old Trafford for Derby County against Manchester United, and now he has repeated the trick for his national team. Three weeks ago he scored in the 59th minute; tonight it was the 58th and it was just as good a strike as this fan footage shows. Keep banging them in like that and Jurgen Klopp will have no choice but to give him a chance next season! Another stunning effort from the young attacker.